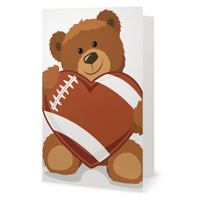 Optional Petal Personalization - We'll personalize 1 Football Rose in your bouquet for no additional charge. Personalization is printed in ALL CAPS in white athletic style font. We can personalize additional roses by request for an additional $5 per rose (call us at 619-551-6651 to request personalization on more than 1 rose). From Marla of Grand Ledge, Michigan on 7/26/2012 . These are just the perfect addition to my bouquet for my sports themed wedding! Absolutely . . .
From PEGGY STRINGER of POWELL, Wyoming on 11/28/2011 . Yes, I have been very pleasantly surprised both with the representative I dealt with and the . 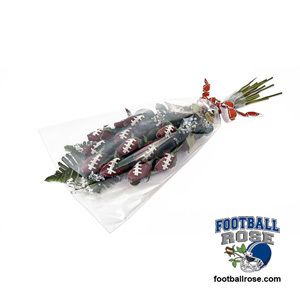 . .
Theme Football Roses for your recipient's favorite NFL football team. 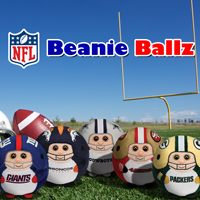 Add a cute and cuddly Beanie Ballz to your Football Rose gift. 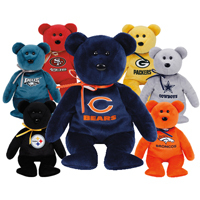 All 32 NFL teams available.